I was most interested to try out the AHA VITA Brightening Serum and the Snail Bee Anti-Wrinkle Serum. A few days ago, I suddenly got three really big and ugly pimples on my upper lip and chin. 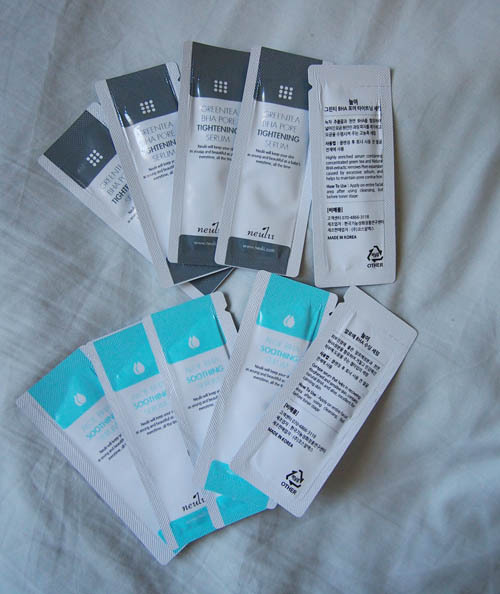 I opened up my sample of Cosrx BHA to use and I think these BHA samples will come in very handy so I'm glad I ended up getting these as I rarely break out so much at once.